This Application Note covers using the BasicMicro Arduino library to control one or more encoders attached to a RoboClaw motor controller. The Arduino is an easy to use microcontroller for interfacing with the RoboClaw motor controller. 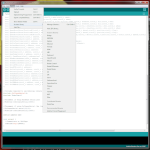 It comes with a wide range of easy to use libraries out of the box. 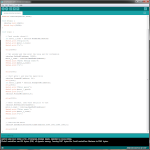 BasicMicro also has an easy to use library for the Arduino. The RoboClaw’s standard serial control mode is an easy method for control with just about any microcontroller. In this Application Note an Arduino will be used to control two motors in standard serial mode. Some robotics projects will require the use of more than one motor controller at a time. RoboClaw supports this type of operation and it’s straightforward to configure and wire. Some robotic projects make use of more than one motor controller. The RoboClaw is engineered to be used in this fashion with the use of a microcontroller like an Arduino.